Team news ahead of Tuesday night's League Two clash between Northampton and Morecambe at Sixfields Stadium. Northampton boss Ian Sampson is hoping to name Abdul Osman in his squad to face Morecambe. The 23-year-old midfielder was sent-off after 68 minutes of Saturday's 1-1 draw with Port Vale and is due to start a three-match ban, although an appeal has been launched against the decision. Sampson said: "Hopefully Abdul Osman's sending off will get overturned but if it doesn't I have got plenty of options. "Nathaniel Wedderburn took a bit of a knock on his ankle on Saturday and I'd say he is about 70/30. "Michael Jacobs and Kevin Thornton can also both play in central midfield and we need to win the game so I'd have no problems playing two attack minded players in there." Top-goalscorer Leon McKenzie and midfielder Andy Holt are set to retain their places in the starting line-up after reporting no reaction to their knee problems, but defender John Johnson (also knee) will miss out again despite returning to training this week. 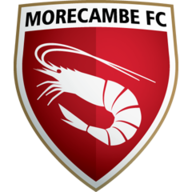 Morecambe manager Sammy McIlroy will again be without winger Chris Shuker for the trip to Northampton. The former Barnsley wideman is nursing a hamstring injury which forced him to miss Saturday's 2-0 defeat at Lincoln. Laurence Wilson missed the Sincil Bank reverse as his partner was due to give birth but he is set to come back into contention. Midfielder Andy Holdsworth also missed out due to illness but is set to give McIlroy a boost by declaring himself fit for action. 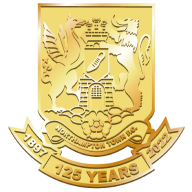 Shuker's absence aside, the Shrimps' only other injury concern is defender Paul Scott, who remains absent as he recovers from a knee operation. Saturday's reverse against Steve Tilson's men left Morecambe without a win in their last six matches.